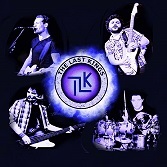 With a heavy influence of rock, The Last Kings, are a four-piece band from Co Meath, Ireland, full of catchy lyrics, awesome solo’s, twin lead guitars, great riffs and powerful rocky drum beats. The Last Kings are almost finished their first album since getting together in early 2015. The first EP is expected for release in the summer of 2016.